GRAND CANYON NATIONAL PARK, AZ — The U.S. Supreme Court today declined to hear the mining industry’s challenge to the 20-year ban on new uranium mining near the Grand Canyon. The National Mining Association and the American Exploration and Mining Association claimed the Interior Department’s ban is based on an unconstitutional provision of federal law. Today’s decision means that the Supreme Court will not review December’s appeals court decision that rejected industry arguments and upheld the ban. The Havasupai Tribe and a coalition of conservation groups, who helped successfully defend the ban in lower courts, praised the decision. “This is a great day for the Grand Canyon region, for the Havasupai people who rely on its sacred waters, for the people who love this wonder of the natural world, and for the wildlife that call it home,” said Ted Zukoski, an Earthjustice staff attorney who opposed the mining industry’s petition. “These spectacular public lands deserve permanent protection from dangerous uranium mining,” said Taylor McKinnon with Center for Biological Diversity. “Our region already suffers from seven decades of uranium mining pollution. Every dollar spent planning new uranium mines is a dollar that should be spent cleaning up that deadly mess." The mining ban, adopted in 2012, protects the aquifers and streams that feed the Colorado River and the Grand Canyon from toxic uranium-mining pollution and water depletion. Without the ban, the Interior Department predicted hundreds of exploration sites would be dug and dozens of new mines developed. That would threaten the Grand Canyon with toxic uranium pollution and depletion of critical groundwater. 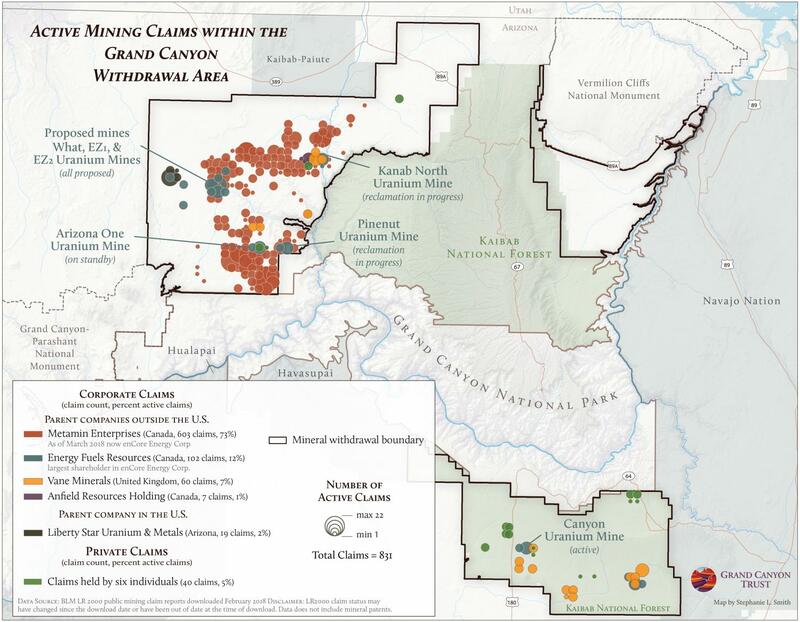 The Havasupai Tribe, Grand Canyon Trust, Sierra Club, Center for Biological Diversity and National Parks Conservation Association intervened in the case in 2013, shortly after the mining industry challenged the ban in federal court. The groups have defended the ban since, together with the Interior Department in both the Obama and Trump administrations. The coalition and the Interior Department won a 2014 decision in the U.S. District Court in Arizona upholding the mining withdrawal. Mining companies appealed the decision. In December, the Ninth U.S. Circuit Court of Appeals upheld the ban as constitutional and ruled that the protected area was not too large, as mining companies had argued. Uranium mining companies have no more avenues to challenge the ban in court. But they are pressing the Trump administration to subsidize U.S. uranium mining by requiring more of the element be mined domestically, and by reducing public involvement and agency oversight of mining on public lands. Such measures could increase pressure to remove or weaken the withdrawal administratively. 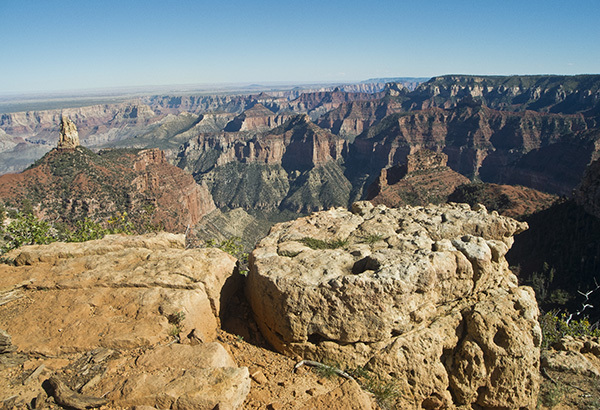 Uranium pollution already plagues the Grand Canyon and the surrounding area. Proposals for new mining have prompted protests, litigation, and proposed legislation. Dozens of new mines threaten to industrialize iconic and sacred natural areas, destroy wildlife habitat, and pollute or deplete aquifers. Scientists, tribal and local governments, and businesses have all voiced support for the protections enacted by the Department of the Interior. An Department of the Interior study showed that without the mining ban, 26 new uranium mines and 700 uranium exploration projects would be developed — an average of one every 10 days. These projects would bulldoze more than 1,300 acres and use 316 million gallons of water that feeds the region’s iconic falls and streams. One of the great symbols of the American West, the Grand Canyon was first protected as a national monument by Theodore Roosevelt in 1908 and established as a national park in 1919. The park is surrounded by millions of acres of public lands that include wilderness areas, two national monuments, lands designated to protect endangered species and cultural resources, and old-growth ponderosa pine forests. 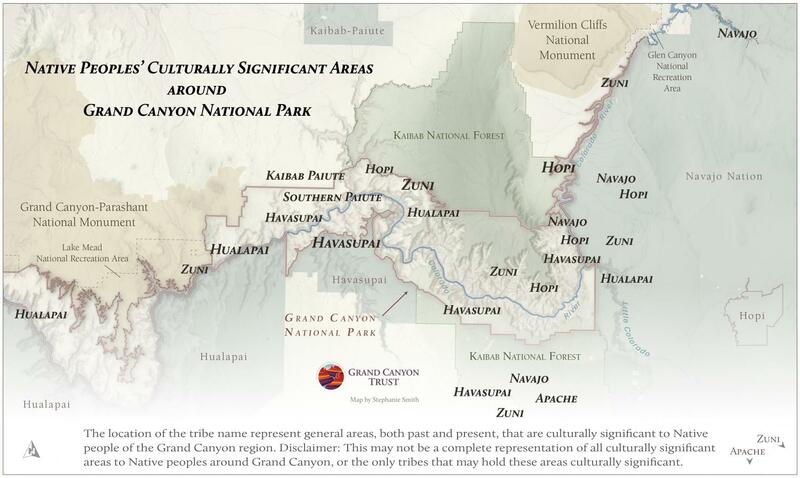 The canyon area is home to the Havasupai, Kaibab Band of Paiutes, Hualapai and Hopi tribes, and the Navajo Nation, and has been designated a UNESCO World Heritage site. In 2016 the greater Grand Canyon region attracted more than 6 million tourists and recreationists. Grand Canyon tourism contributed $904 million to local economies and supported nearly 9,800 jobs. The notice of denial of the petitions for writ of certiorari is found on the Supreme Court’s “Order List” for today on page 9, denying petitions filed by the National Mining Association and the American Exploration & Mining Association, case numbers 17-1286 and 17-1290. "Today’s decision slams the door on false claims that the 2012 ban on new uranium mines around the Grand Canyon was illegal."